Lets start by looking at some statistics from Crunchbase. This free online database lists over 100,000 companies and over 30,000 funding rounds. Crunchbase also shows us that there have been literally thousands of Seed Rounds, Angel Rounds and Series A, B and C rounds. Furthermore over 9,000 funding rounds are unattributed. In our research over the past decade, we have identified over 1,200 investors in the UK and this dataset only has a small number of Angel and High Net Worth investors. We are predominantly talking about funds, networks and family offices. 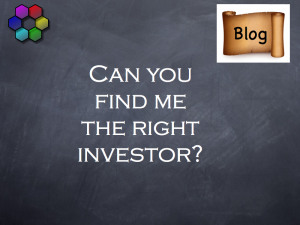 In the video I walk through a series of factors that need to be taken into account when trying to select investors. 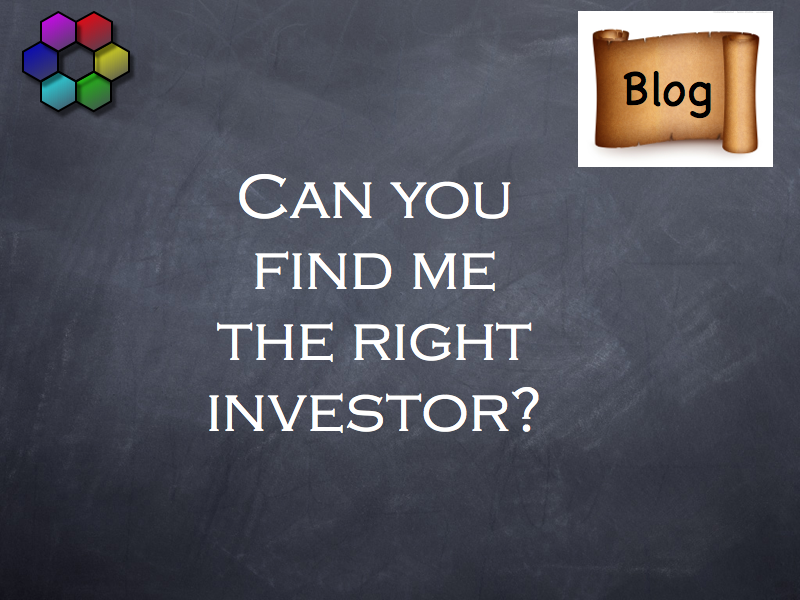 Unfortunately, finding the Right Investor involves kissing a lot of frogs! I do not believe that there are any short cuts, they take too long! I hope you find the video useful and if you want to know more or to discuss any issues I bring up, you can email me at jbdcolley[at]aol[dot]com or contact me through the blog. Take a look at my FREE video Tutorial “How to Turn Your Great Idea into a Business” which is all about Starting a Business and Raising Capital.